This year, I don’t actually need to make a cake because a) last year’s never got eaten and is still in the cupboard and b) we still have wedding cake left (which is also a fruit cake). Just need to ice it in a couple of weeks’ time. Easy! 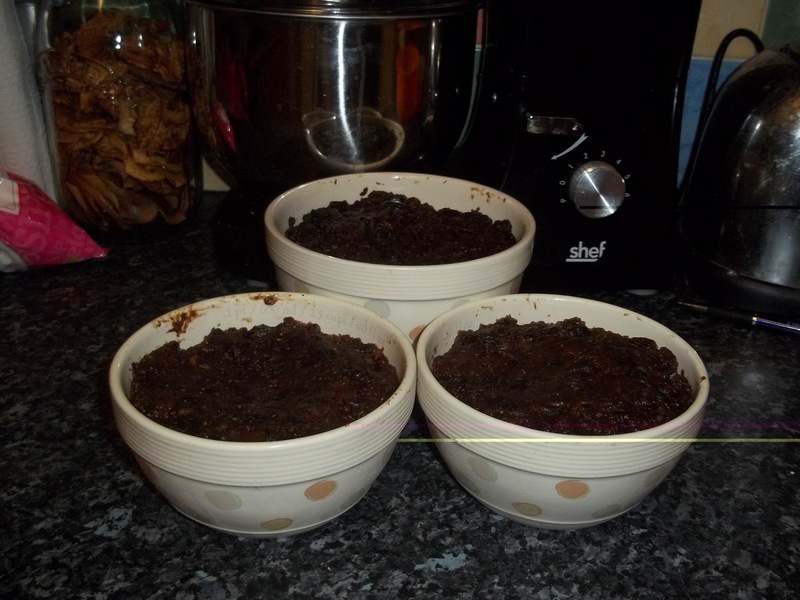 I soaked the fruit for the mincemeat for a couple of days as per my previous recipe. It’s more or less identical, except I added some freshly squeezed pomegranate juice (as I had some pomegranates in the fridge) and I used madiera instead or port, as I didn’t have any port in the house. It smells gorgeous but doesn’t have that same wonderful ruby colour, so I’ll probably revert to port next year. I also rolled and froze 90 pastry cases (!) 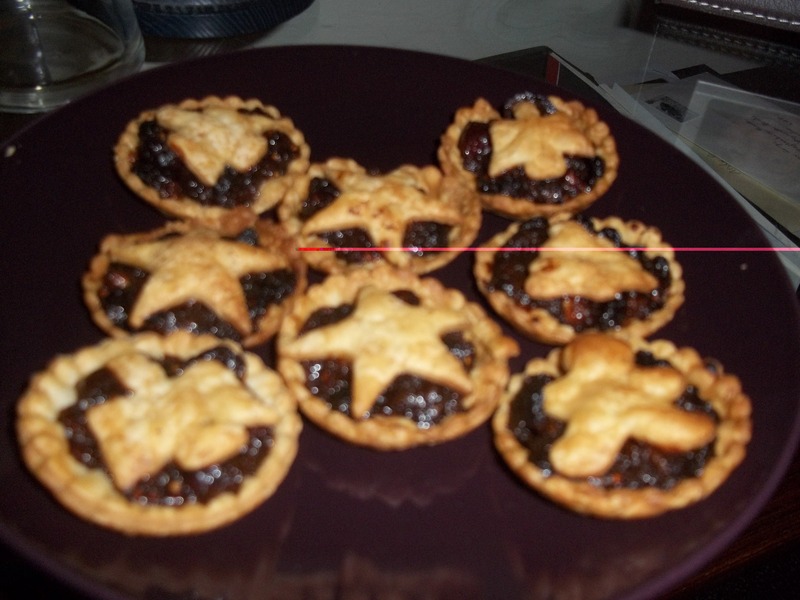 so I’m well geared up for mince pies again. The pastry is amazingly flaky and short, and the madiera has worked fabulously. I’ve made a medly of different shaped lids this year using some new mini cutters I bought recently; they’re so cute! Yay! Pudding basins that won’t melt! 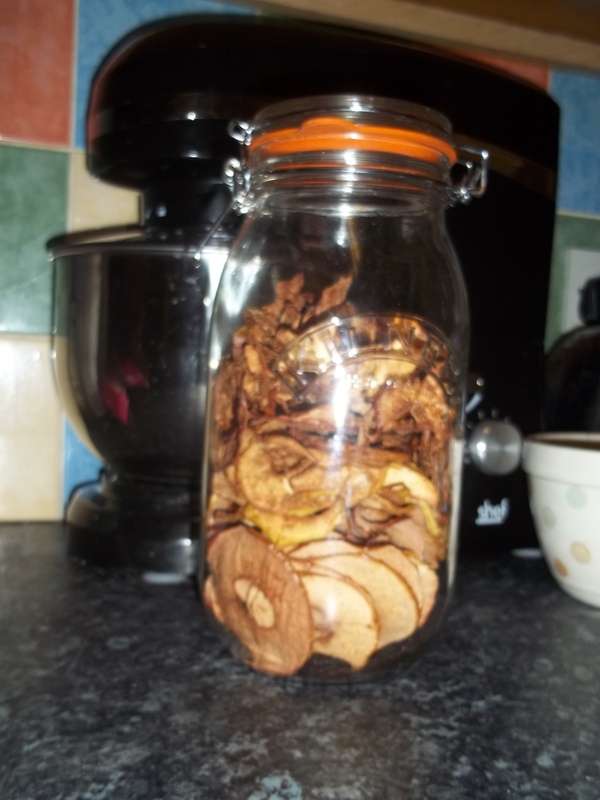 I also decided I should do something with a load of cooking apples given to us by A Man’s mum. The mandolin was out after having made chips last night, and I had just treated myself to an apple corer, so I decided to try my hand at apple crisps. They are one of my absolute favourite snacks, but they’re bloody expensive to buy! To be honest, I wasn’t sure about using cooking apples as I thought they might be too bitter, but they worked fantastically! It was simply a case of washing and coring the apples, thinly slicing them into water mixed with lemon juice, laying the slices on a parchment-lined baking sheet and cooking at around 100C for a couple of hours, until they had dried out. Then they get stored in an airtight container to be nommed at your leisure! Before baking I sprinkled some with cinnamon, some with mixed spice, some with five spice and left some plain. Some people like to add a little sugar too, but I like a nice tart apple slice, so I didn’t bother. Honestly, they’re better than the ones you can buy! I’m almost tempted to buy myself a dehydrator from Amazon… So good for you, and a nice way to preserve surplus fruit, without having to go down the jelly or chutney route (which I had already done a couple of months ago, and have jars and jars of stuff leftover). They’ve actually all disappeared now, but they were yummy while they lasted! I’ve now marzipanned and iced the cake, but haven’t bothered to take a photo yet as I need to decorate it yet. Hopefully it’ll be ready before next weekend, which is the annual get-together which this year is being hosted in Birmingham, the day after my office Christmas party… See a hint of the carnage of 2011 (when A Man and I hosted) here. 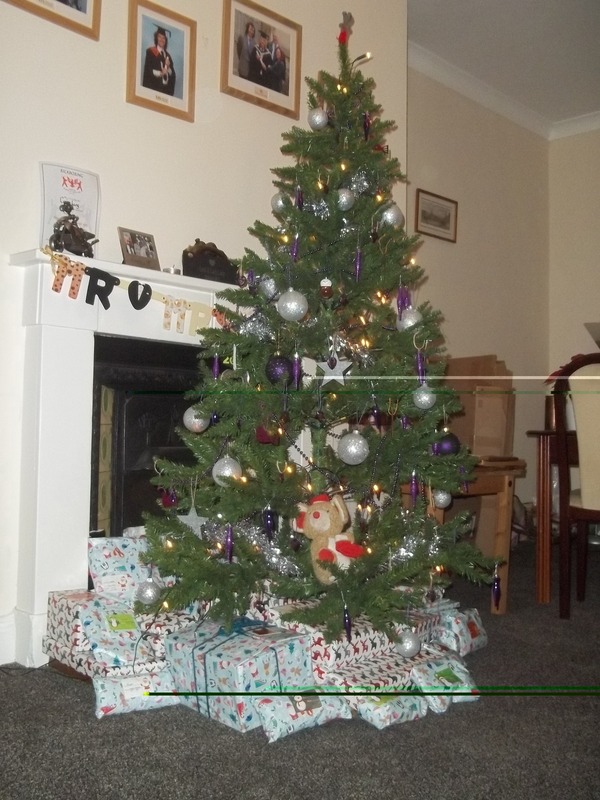 Hope you’re all sufficiently into the spirit of the season! Much love.